Loafers are probably one of the perfect pair of shoes for the lazy fashionista. With their comfortable slip-on, and slip-off design, they are an underestimated addition to any look. A good pair of loafers are guaranteed to add an unexpected stylish twist to any ensemble. More importantly, these shoes can take you from the boardroom to happy hour and everything in between. I have said this before, but I will say it again, because it’s that important. You don’t always need to wear stilettos to look good. You can absolutely wear loafers and manage to appear completely polished. Loafers can be totally chic, and are very versatile. Come rain or shin, loafers will take you through the seasons while still looking amazing. Metallic loafers took over in the summer, and shows no sign of letting up during the 2017 fall season. This trend achieves the seemingly impossible, by injecting ultra comfortable flat shoes with the amazing ability to actually dress up an outfit. These are a fashionable choice for women who want to add a dressy feel to an outfit, without having to wear heels. You can make your feet the statement by styling these metallic loafers with power pantsuits, jumpsuits, casual jeans and a sweater combination, or even with your favorite dress. There are no limits when it comes to these metallic loafers. I purchased these metallic loafers from Zara during the end of season clearance for $19.99, discounted from $49.99. End of season clearance sales are your friends. Embrace them because if you are about savings, then they will reward you with a lot of beautiful items without breaking the bank. When I saw them, I knew that I would get a lot of wear out of them. I styled my metallic loafers with this open back jumpsuit from Zara as well. Although not thrifted per se, the price is certainly as thrifty as they come. These were also purchased at the end of season clearance. 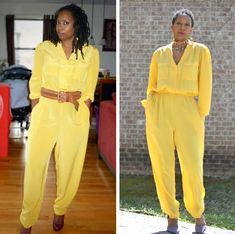 This jumpsuit set me back $12.99, but originally retailed for $69. I would say this is a definite score. I love everything about this casual jumper. The print, the fact that it ends high enough that my metallic loafers can still be shown off. I also love the open back detail. Best of all, the $12.99 price tag cannot be beat. We should accept the fact that shoes are perhaps the most fun accessory to play around with because they can change the entire vibe of an outfit. The right pair of shoes can make a look more put together and fancy, or keep the outfit in the casual lane. They can make you look more mature, or give your look a fun feel. If you ever want to try something more bold, try opting for shoes because they are far less intimidating than going all out with a full outfit. For these reasons, a pair of metallic loafers should be incorporated in your outfits. Those loafers are all kinds of cool. I had a pair of shoes like that back when I was in 5th grade. So cool that they are coming back into style. I can think of a lot of occasions to wear these loafers especially this season and the next! I love the color and I love how it makes an outfit stand out! It’s really beautiful! Those look so comfy. I tend to go barefoot, but a flat shoe is the next best thing! These are so pretty, I definitely love the metallic and now I want a pair! I haven’t seen metallic loafers but I also don’t get out much. I really prefer flat shoes in the winter so I don’t slip on the ice and break something. Thanks for the suggestion. I love the colors of this dress, looks great in you. The peek a boo is so cute too! 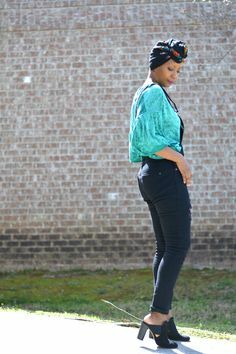 It’s so true that shoes can really make an outfit, I love how you’ve styled this! The shoes really make this pop! These shoes are amazing! The splash of metallic brings sophistication to any outfit! 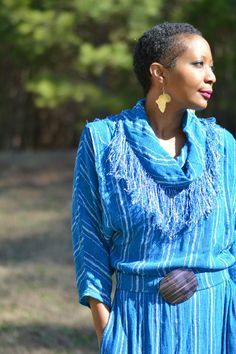 I can totally see my self throwing this on to run errands or adding them to a date night outfit! Those are so pretty. I haven’t ever owned any shoes or clothes that are metallic. I think they’d be pretty sweet though. Would go well with some great outfits! I always love looking at your blog and seeing what styles you come up with next, you are so good at this! I love those shoes. While I truly don’t need any more shoes, I think I might actually have to add this pair to my collection. Blessings! I love, love this outfit! It so chic and sophisticated. And you’re right – you don’t have to wear stilettos to look good. This printed jumpsuit looks so good on you! I love those metallic loafers! Metallic loafers are so much fun! You can have such a simple outfit and add these to it to make it standout.